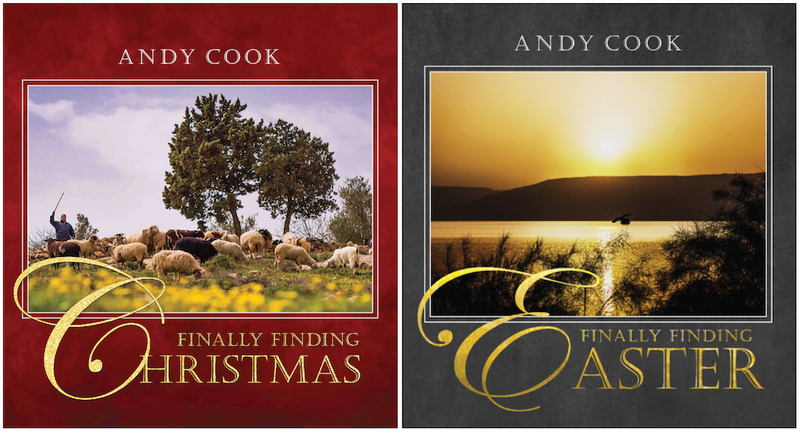 We’re excited about the release of Pastor Andy Cook’s newest book, “Finally Finding Easter!” If you’ve read “Finally Finding Christmas,” you’ll remember the story of Jim and Sarah Ricketts. 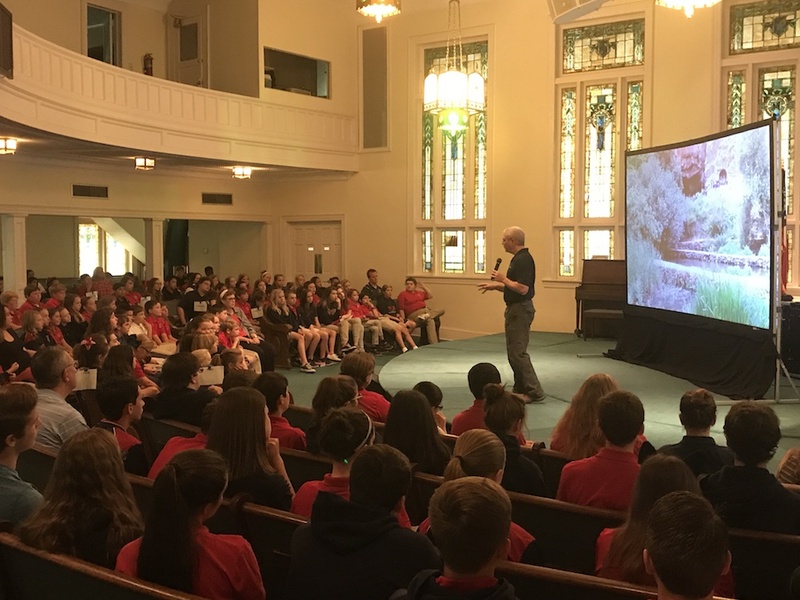 Their surprise trip to Israel helped them discover the amazing cultural and historical background of the Christmas story. It also revived in them the true spirit of Christmas and changed the way they would celebrate the holiday for the rest of their lives. Now it’s Scott Ricketts’ turn. 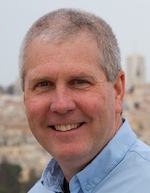 When his parents send him to Israel for his own visit to the land of the Bible, it came with perfect timing. Scott was struggling with the faith his parents had given him. A third-year student at his state’s university, Scott wasn’t even sure he could believe the Bible’s story. But the land of the Bible changed his views in a very short period of time. Plus, there was Aimee. How could someone fall in love so fast … or feel so desperate to keep her alive? Want to read the opening chapter? Click here! 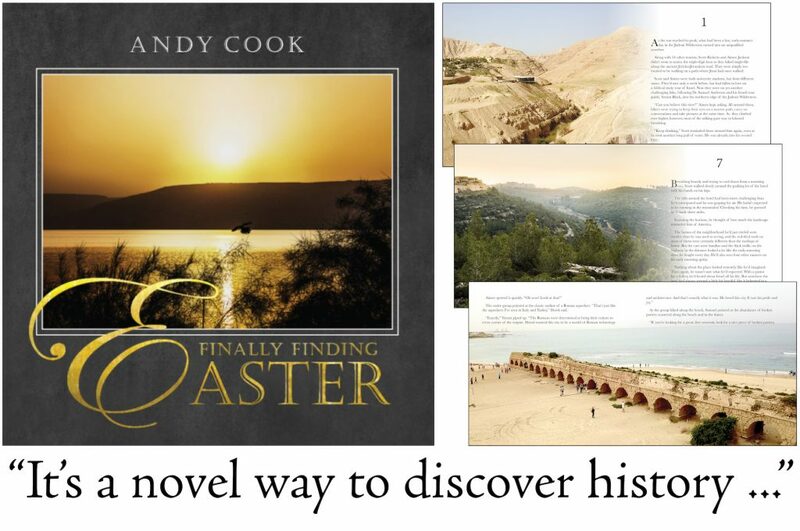 Click here to order a hardback copy ($15) of Finally Finding Easter. Order two copies ($25) and save. Order three or more? These books are only $10 each! Contact us to arrange for larger shipments. Click here to buy it on Kindle. For a limited time, it’s just $1.99!!! Want to buy both Finally Finding Christmas and Finally Finding Easter? It’s a great gift set and sells for just $25 plus $3.50 shipping! Click here!